If you’ve ever worried about sharing a business idea or waited for a business idea to come to you in a flash of inspiration this blog post is for you. 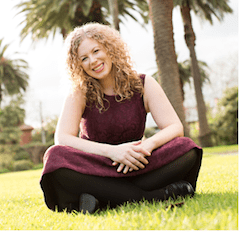 I’m sharing 5 myths about business ideas that I think will settle any fear of ‘losing’ ideas, your ideas not being special enough or not getting ideas in the first place. There is a huge attachment to society about ideas, particularly business ideas. People often think the idea is everything and it’s the most valuable piece. People will wait for the perfect idea and hold off until they have it. The truth is the idea is nowhere near important as you imagine and it’s often the easy part! We probably have hundreds of ideas about any number of topics in any given week. And most of them will never amount to anything. Being able to take an idea from just an idea to reality – bringing it to life – is where real value lies. The value is in the implementation. And the idea will grow and morph while you are building it and during it’s lifetime. Ideas can just come to you in a flash (although more about that later) but it’s a fallacy to think that the idea by itself is worth very much. The idea is the point where the work starts! The idea is a seed, but needs someone to figure out how to take care of it, how to nurture it, what to feed it to make it grow into anything. Especially when it doesn’t come with instructions. Then we start writing it all down and mapping out what it could look like. Usually this happens to me in the shower or I wake up in the middle of the night. Always at a time when it’s really inconvenient to write anything down! It feels like a thing we thought of in isolation and it’s only ours. The truth is your brain operates like a big sponge and when you experience these ideas it’s your brain making connections between all the different concepts and ideas it’s been exposed to. You are now under less pressure to be original in the first place. You can use a process to create ideas by getting your brain to make these connections. (watch the Zero to Paying Clients Masterclass for more on this). Now you can focus more on the implementation and less on how special the idea feels so you can make more real progress. This one rears up its ugly head also in the form of “Everyone else is doing it so I can’t”. Here’s the thing – we already know the value of an idea is in the implementation. And you always get to do it your way. There are literally thousands upon thousands of businesses selling weight loss in one way or another. There are powders and shakes. There are downloadable exercise plans and diet plans. There are dieticians and there are health coaches. There are health coaches that specialize in emotional eating. And there’s health coaches that specialize in plant-based plans. Each one as their own variation and implementation of a core idea. Each of them has different positioning and different offers. We live in a era of choice. You get to chose how you implement your solution to people’s problems. And realistically if someone else is doing something similar it is a good thing because it means they proven the business model for you. Because in most cases there isn’t much value in the idea itself, the value comes in the implementation. It makes no sense to feel like you can’t talk about your ideas for fear of people stealing them. It makes more sense to be scared to talk about them for fear whoever you told will think badly of you if you don’t make this idea reality! A business idea in itself can be quite simple. When I am working with clients we really only need an extremely brief description – think one sentence – of what the core idea is to build out from there. And how we build it is the important part! So when you are deciding on your business idea or even just coming up with a new offer to fit inside your business don’t think this immediately calls for a 20 page business plan. Think simple and know it doesn’t need to be original. Your version of making this idea reality will make it original. Have you ever held back from going with a business idea because it seemed too samey? Have you ever not shared your new idea for fear of someone else doing it? 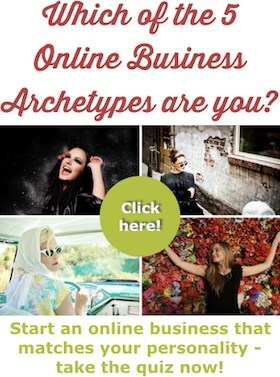 ← How Online Does An Online Business Have To Be?